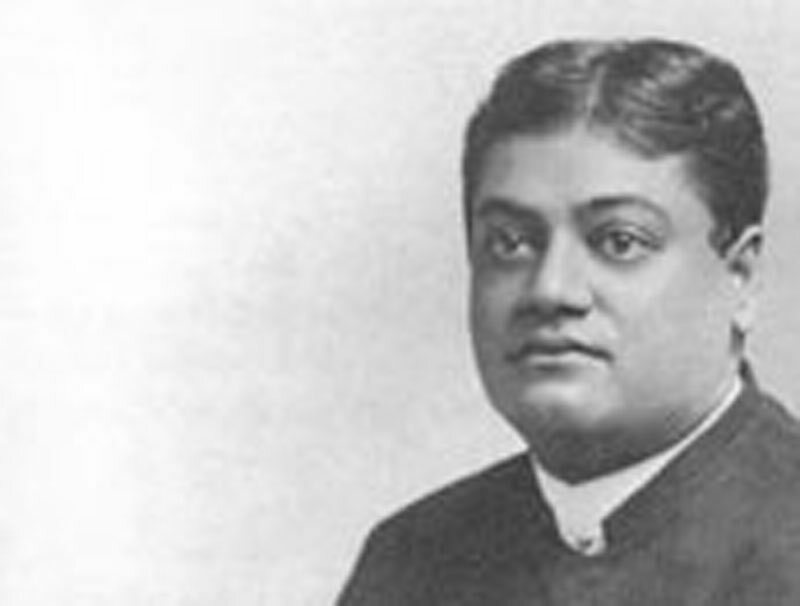 Swami Vivekananda, being presented by Dr. Janes, the president of the Ethical Association, under whose auspices these lectures are given, said in part: "The Hindoo occupies a unique position towards Buddhism. Like Christ, who antagonized the Jews, Buddha antagonized the prevailing religion of India; but while Christ was rejected by his countrymen, Buddha was accepted as God Incarnate. He denounced the priestcraft at the very doors of their temples, yet to-day he is worshipped by them. "Not, however, the creed which bears his name. What Buddha taught, the Hindoo believes, but what the Buddhists teach, we do not accept. For the teachings of the Great Master, spread out broadcast over the land, came back in tradition, colored by the channels through which they passed. "In order to understand Buddhism fully we must go-back to the mother religion from which it came. The books of Veda have two parts; the first, Cura makanda [Karma Kanda], contains the sacrificial portion, while the second part, the Vedanta, denounces sacrifices, teaching charity and love, but not death. Each sect took up what portion it liked. The charvaka, or materialist, basing his doctrine on the first part, believed that all was matter and that there is neither a heaven nor a hell, neither a soul nor a God. The second sect, the Gains [Jains], were very moral atheists, who, while rejecting the idea of a God, believed that there is a soul, striving for more perfect development. These two sects were called the heretics. A third sect was called orthodox, because it accepted the Vedas, although it denied the existence of a personal God, believing that everything sprang from the atom or nature. "Thus the intellectual world was divided before Buddha came. But for a correct understanding of his religion, it is also necessary to speak of the caste then existing. The Vedas teach that he who knows God is a Brahma [Brâhmin]; he who protects his fellows is a Chocta [Kshatriya], while he who gains his livelihood in trade is a Visha [Vaishya]. These different social diversions [divisions] developed or degenerated into iron-bound casts [castes], and an organized and crystallized priestcraft stood upon the neck of the nation. At this time Buddha was born, and his religion is therefore the culmination of an attempt at a religious and a social reformation. "In later years these doctrines of Buddha were forgotten. Going to lands yet unprepared for the reception of these noble truths, they came back tainted with the foibles of these nations. Thus the Nihilists arose — a sect whose doctrine it was that the whole universe, God and soul, had no basis, but that everything is continually changing. They believed in nothing but the enjoyment of the moment, which eventually resulted in the most revolting orgies. That, however, is not the doctrine of Buddha, but a horrible degeneration of it, and honor to the Hindoo nation, who stood up and drove it out. "Every one of Buddha's teachings is founded in the Vedantas. He was one of those monks who wanted to bring out the truths, hidden in those books and in the forest monasteries. I do not believe that the world is ready for them even now; it still wants those lower religions, which teach of a personal God. Because of this, the original Buddhism could not hold the popular mind, until it took up the modifications, which were reflected back from Thibet and the Tartars. Original Buddhism was not at all nihilistic. It was but an attempt to combat cast and priestcraft; it was the first in the world to stand as champion of the dumb animals, the first to break down the caste, standing between man and man." Swami Vivekananda concluded his lecture with the presentation of a few pictures from the life of Buddha, the 'great one, who never thought a thought and never performed a deed except for the good of others; who had the greatest intellect and heart, taking in all mankind and all the animals, all embracing, ready to give up his life for the highest angels as well as for the lowest worm." He first showed how Buddha, for the purpose of saving a herd of sheep, intended for a king's sacrifice, had thrown himself upon the altar, and thus accomplished his purpose. He next pictured how the great prophet had parted from his wife and baby at the cry of suffering mankind, and how, lastly, after his teachings had been universally accepted in India, he accepted the invitation of a despised Pariah, who dined him on swine's flesh, from the effects of which he died.